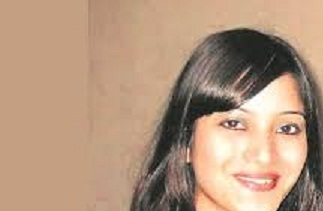 In the sensational Guwahati-born Sheena Bora murder case, the murky details of which shook the nation, lawyers representing accused Indrani Mukerjea, while cross-examining her son Mekhail on Thursday, claimed that he had attacked his school staffer when drugs were found in his room. It may be recalled that Sheena was murdered allegedly by her mother Indrani and her former husband Sanjeev Khanna in a conspiracy with Peter Mukerjea on April 24, 2012. The report further stated that Mekhail was also asked if he was accompanied by Sohail Buddha while leaving the school to come to Mumbai. Mekhail denied this and claimed that he had come to Mumbai alone. Sohail Buddha, a former Mumbai Police officer, was employed with the broadcast media group that Peter Mukerjea had been associated with. An Assistant Inspector with the Mumbai Police, Buddha had taken voluntary retirement to join Star TV as the vice-president (Internal Security) when Peter was the company’s Chief Executive Officer (CEO). The defence also claimed that a couple had filed a police complaint against Mekhail for harassing their daughter. Mekhail denied knowing the couple. “I cannot recollect as to whether they have filed a police complaint against me for harassing their daughter,” Mekhail told the court. He also denied that he was taken to the police station in this regard. Further, Mangla pointed out discrepancies in Mekhail’s statements recorded by the Khar Police Station, which initially investigated the case in 2015, and the subsequent ones given to the Central Bureau of Investigation (CBI).